Another month and a new instalment of a makeup mix. I really enjoyed writing last month’s post, and you guys seemed to like it too, so I was excited to write this month’s post. I got to a-thinkin’ about the makeup flavour of the month, and I went with a cliche. I went pink. It’s Valentine’s day, and while I don’t massively care about the 14th, I got all inspired by the pink-ness and I’m not even sorry. I’m talking candy pink blushes with lots of dewiness, wearable pink eyeshadow (that doesn’t give you pink eye) and pink lips, of course. Blush wise, I am favouring cream blushes at the moment because they just really help my dry skin to look a lot healthier and… juicy? I like really creamy formulas – not cream to powder – and some of my favourites are from Kevyn Aucoin (Isadore shown) and Stila. The Daniel Sandler watercolour blush in Angel is also particularly dreamy – you need a tiny drop, and it gives such a nice natural flush. With all cream blushes I like to dab dab dab them on with my fingers and then blend them in using the Real Techniques expert face brush. Foolproof. Not cream, but one of my all time favourite blushes is the Dior Rosy glow, PH-adapting, magical blush. Eyes, we have the obvious Naked 3 palette. All the shades are gorgeous, and look particularly awesome layered over By terry misty rock (pictured above). The Kiko long-lasting shadow stick in 36 is the most amazing pink – it has gold shimmer and I love it under MAC Expensive pink (also pictured above). The Maybelline colour tattoo in pink-gold is also amazing… I just love cream shadows, ok? They’re so easy. Also, I can’t mention pink eyeshadow without mentioning NARS Dolomites, which is one of the nicest duos from NARS. One amazing pink with a shimmery bronze. … and then there were lips. MAC Pink plaid for when you want a pink lip with none of the drama. 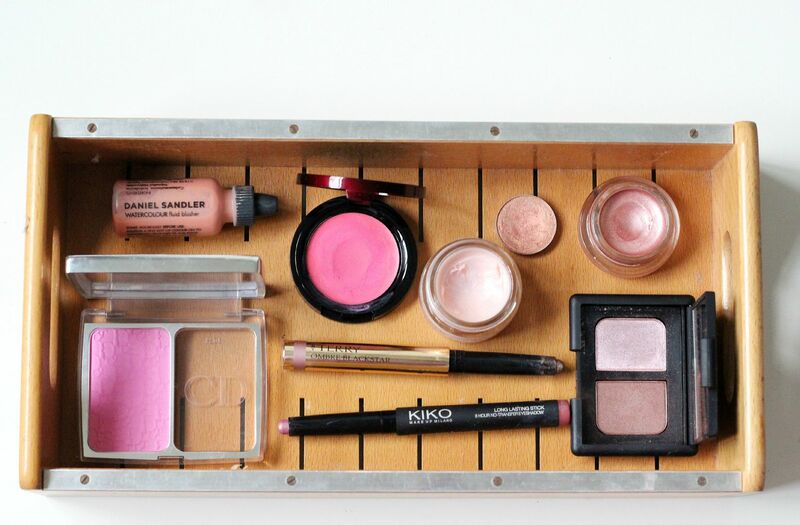 A staple (looks especially amazing with gold eyeshadow). 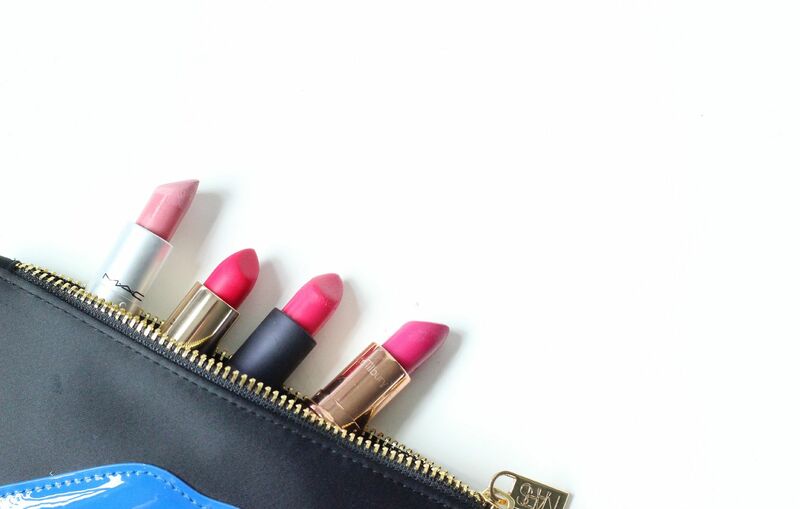 Three hot pinks – Charlotte Tilbury Velvet Underground, Lipstick Queen Hot Rose sinner and YSL in 208. All of them are quite bright & have a creamy/saturated formula. If I had to pick one… lipstick Queen, because the formula of the sinner range is spectacular. What makeup are you loving at the moment?